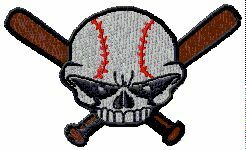 WWW.GLOVE-WORKS.COM BASEBALL GLOVE COLLECTOR FORUM • View topic - Evan Longoria using a Rolin? Evan Longoria using a Rolin? Post subject: Re: Evan Longoria using a Rolin? LSU and Tennessee are sponsored by Wilson. I know Longo used a TPX at Long Beach, so I would think he got it from the Cape Cod league. Yeah, but back in 2000 - my buddy didn't get a glove from LSU. That was 12 years ago.